Every now and again, I am asked to be involved in awareness campaigns to help promote an issue. 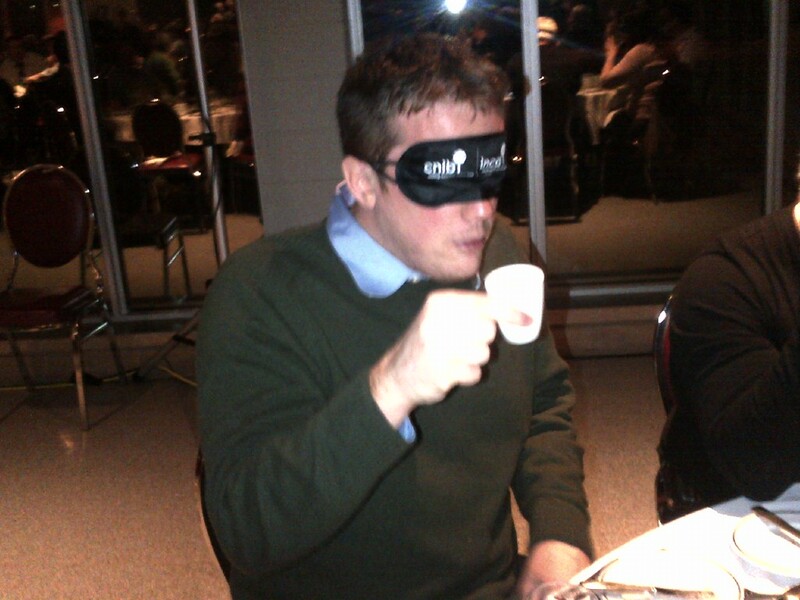 The latest campaign I have been asked to attend was the Canadian National Institute for the Blind (CNIB) Dining in The Dark dinner at Holland College in Charlottetown. Actually, let's back this up a couple weeks. A couple weeks ago, I was asked if I would participate in a CNIB campaign where I would be blindfolded for a day. I wish I could have gone all day, but due to obvious work limitations, it wasn't a good time for me to delay projects by a day. So I participated in being blindfolded for an hour or two and tried to perform some basic around downtown tasks. After visiting the CNIB, across from Holland College, on Grafton Street, we started the blindfolding at the RedCross downtown and ended up going to Starbucks for a coffee and then off to City Hall. We did some video of the basic walking around town, above is the play list from YouTube. 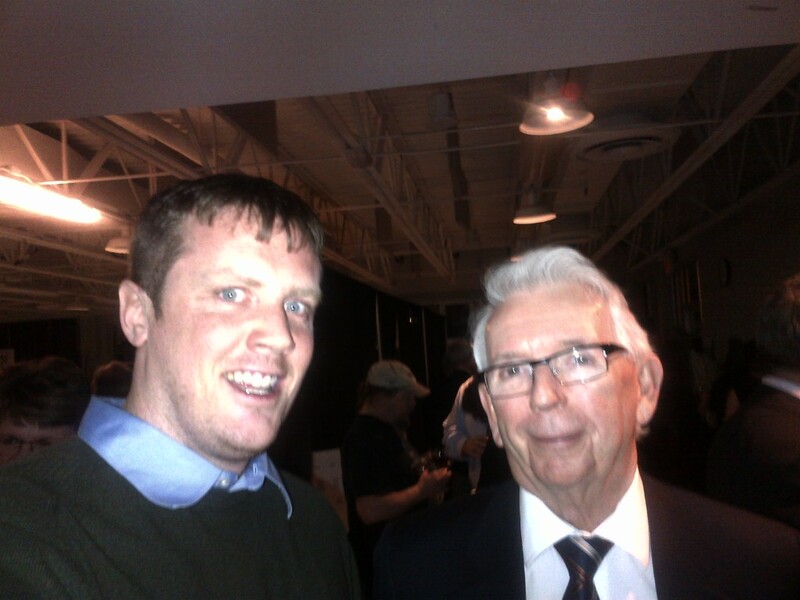 As a result of this, I was also invited to attend the CNIB Dining in the Dark dinner which happened on Friday night. Dining in the Dark is a fundraiser that CNIB puts on every year where each ticket costs $100 and they also have multiple tables full of items that are up for auction that ended by a certain time. Some items were auctioned off live with the Mayor of Montague Richard Collins being the auctioneer. It included dignitaries including the Lt. Governor H. Frank Lewis, the Premier, multiple MLA's and city councilors. The event was well attended with something like 22 tables being put out. Each table had around 8 seats per table, so at $100 a head, that's a large amount of money. All in all, the experience was a unique one. Doing the basic tasks like finding my proper cutlery and finding my glass were pretty simple. The more difficult aspect came when you actually had to use your fork and knife to find the food you are going to be cutting and eating. The entire event was up to the individual if they wanted to perform the function blindfolded the entire time or for portions of the event. Some people decided to be blindfolded the entire night, other's did wear them, but not too often. For myself, I wanted to do the entire thing blindfolded. Obviously things like the draw for the $1200 treasure chest required us to take the blindfold off at the very end and going to the washroom was a bit impossible. Nonetheless, it was a well-attended event with great prizes. 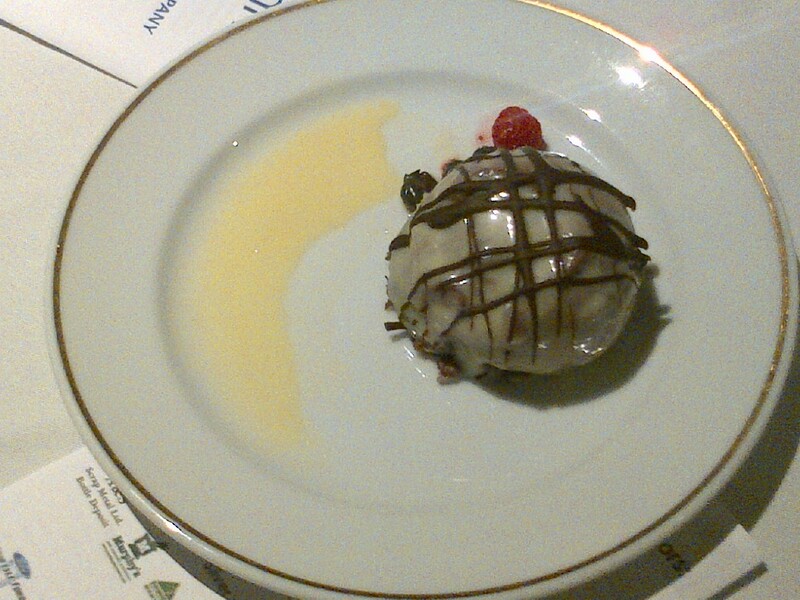 Congratulations to the CNIB for their Dining in the Dark event and raising $34,000 on this one-night event! A big thank you to the CNIB for being invited to this great event!